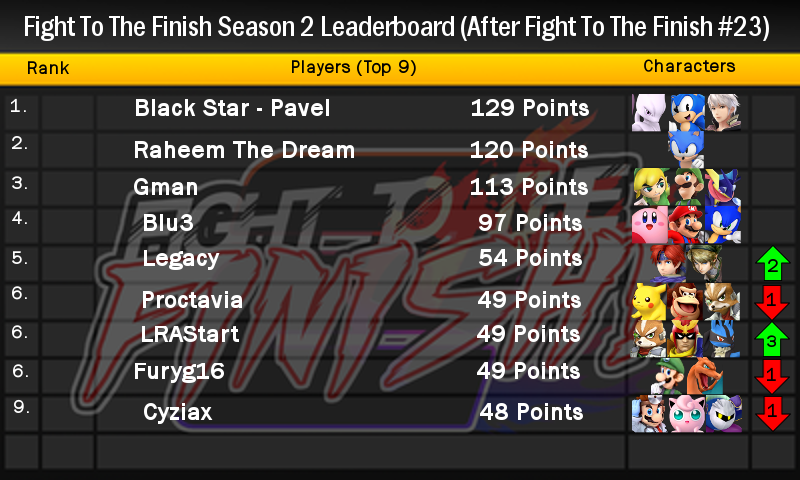 Without further ado here are the leader-board rankings for after Fight To The Finish #23. I have a more detailed documents entailing who earned which bonuses so if you want any clarification on point totals or your rank feel free to let me know. Also if I have the wrong characters listed for you let me know and I will correct them.